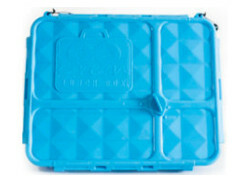 Lunch Box: The turn ‘n lock technology ensures food stays fresh. 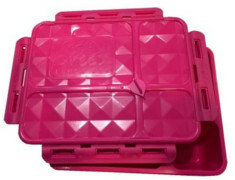 Silicone bands around each compartment ensure a secure leak-proof seal for all 4 sections. 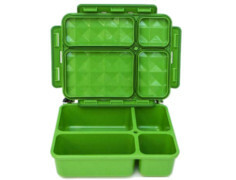 The Medium GoGreen fits into most standard sized lunch bags. 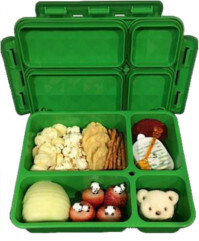 The lunch box is made of polypropylene and silicone.